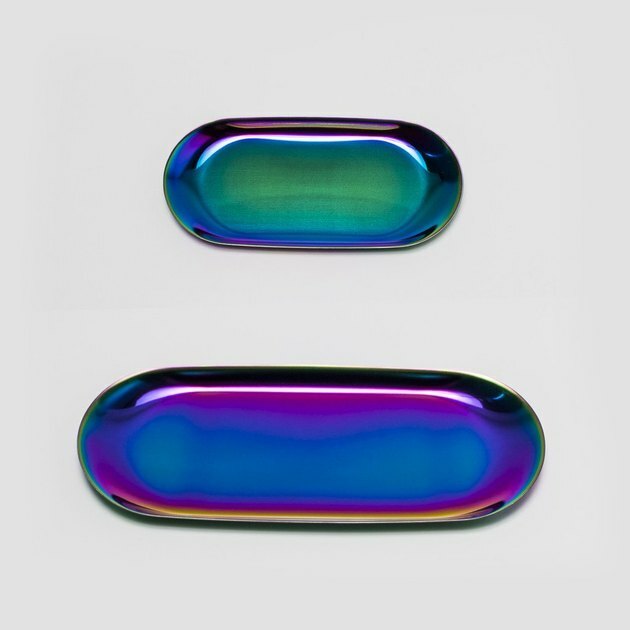 Sensational iridescent accents can help make your home feel like the happiest place on Earth. After all, they look as if they've been dipped in rainbows, and they reflect light beautifully. What could be more uplifting than that? 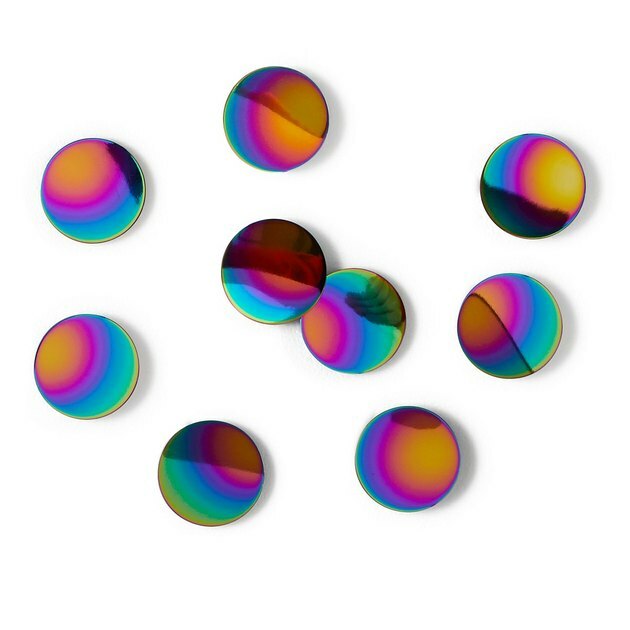 These 15 must-have pieces of prismatic decor will give your digs a subtle boost of color just in time for summer. 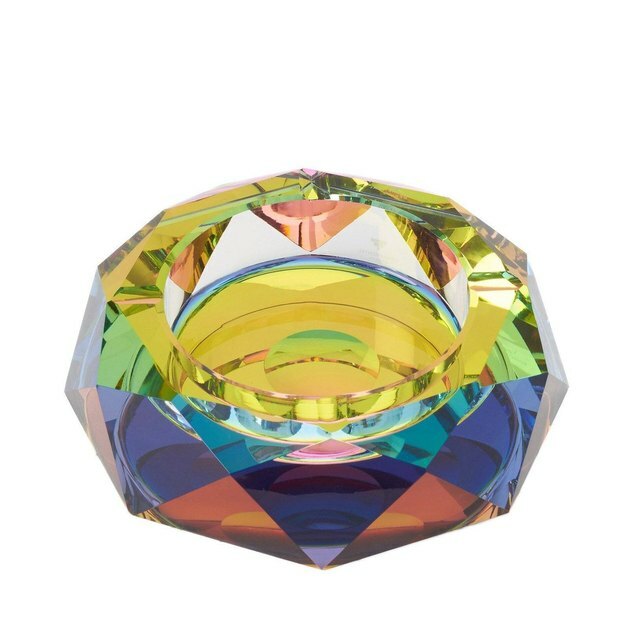 A modern crystal ashtray gives your space a touch of upscale elegance — in a playful, trendy way. 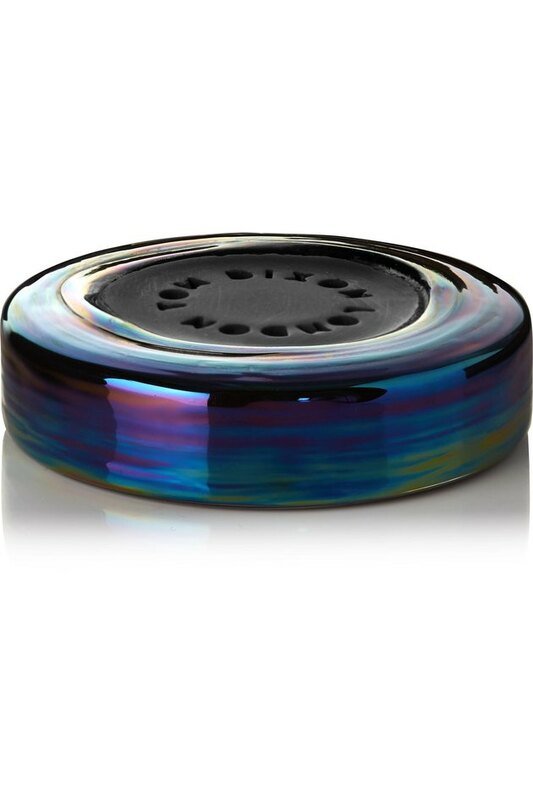 Keep this iridescent beauty on your patio table during get-togethers, or use it as a catchall to stash your keys or jewelry. 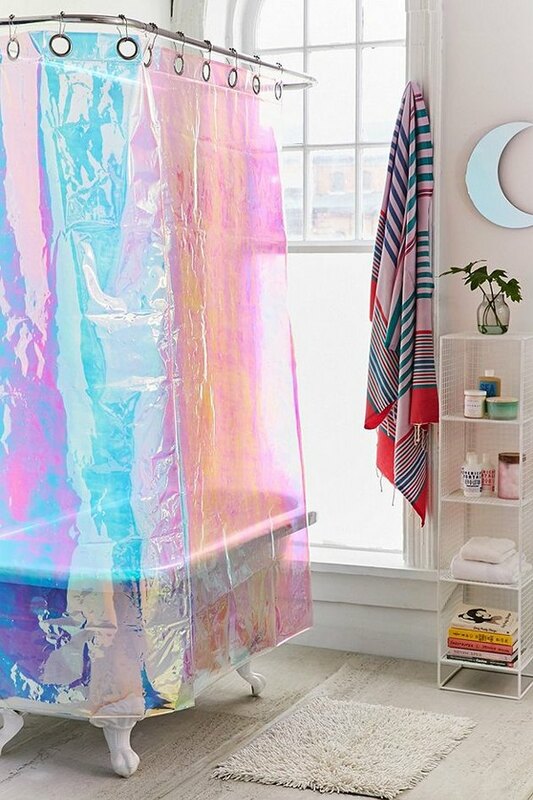 Make your morning magical by hanging this shimmering, see-through shower curtain in your bathroom. Every time you see it you'll feel like you're still in dreamland. 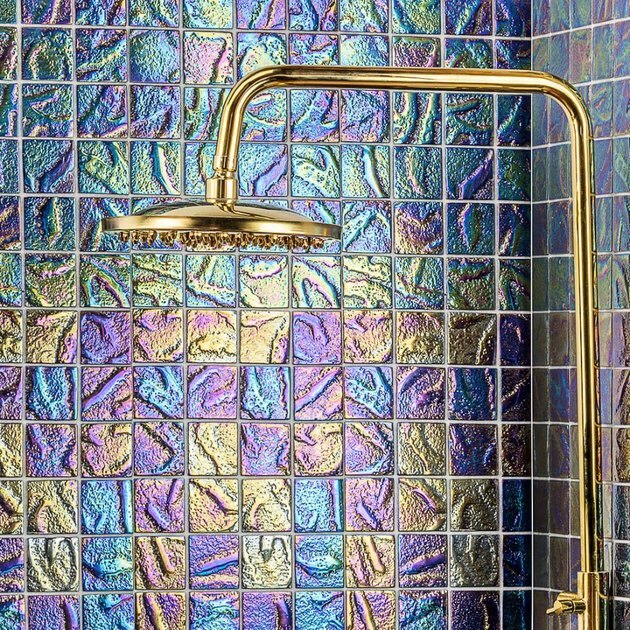 Like oil on wet pavement, this dichroic textured glass mosaic tile can give your bathroom a vibrant pearlescent glow — that is, of course, if you're brave enough to try this look. They make a striking backsplash, too. Now this diffuser is as pretty as they come. Keep it in your bathroom or stash it in one of your dresser drawers to enjoy its spicy, smoky scent for up to eight weeks. 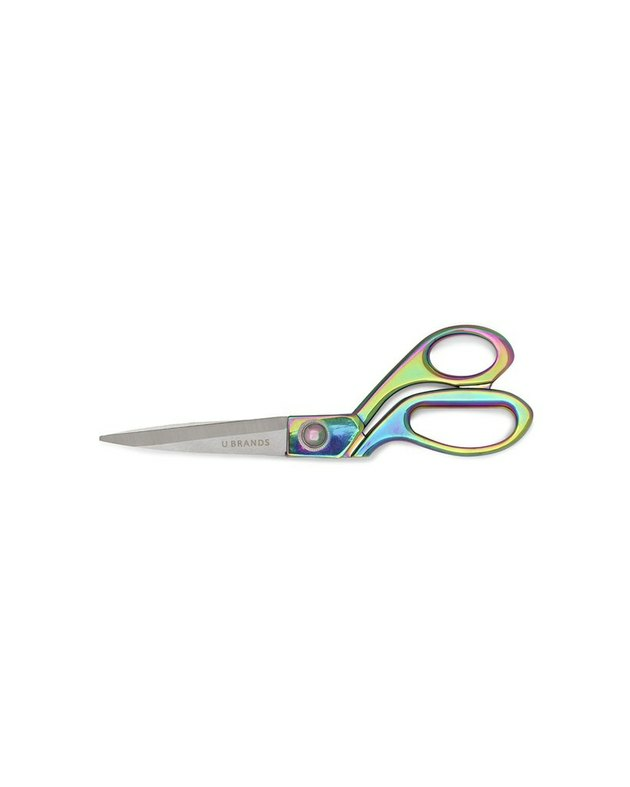 Add a little prismatic playfulness to your home office by keeping this cute cutting utensil on hand. Whether you use them to serve appetizers at your next soiree or to display your nail polish collection, you won't run out of uses for these stainless steel rainbow trays. 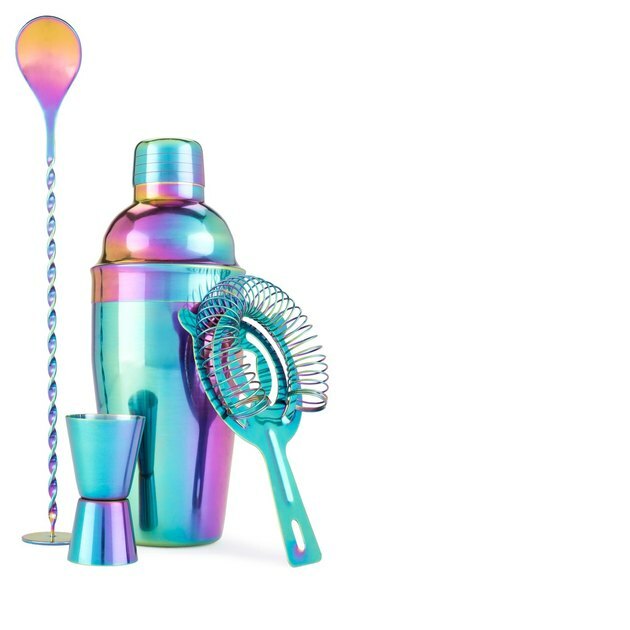 Shake things up this summer and treat yourself to this pretty barware set. It includes everything you need to get your backyard bash started, whether you're drinking mojitos, piña coladas, or a vodka pink lemonade. 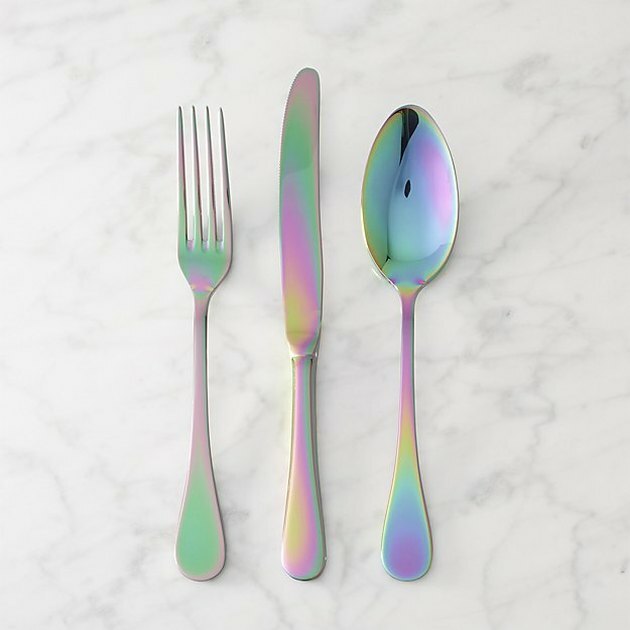 These stainless steel utensils will brighten up any dinner party with their subtle rainbow sheen. And they're laid-back enough to use for everyday dining, too. 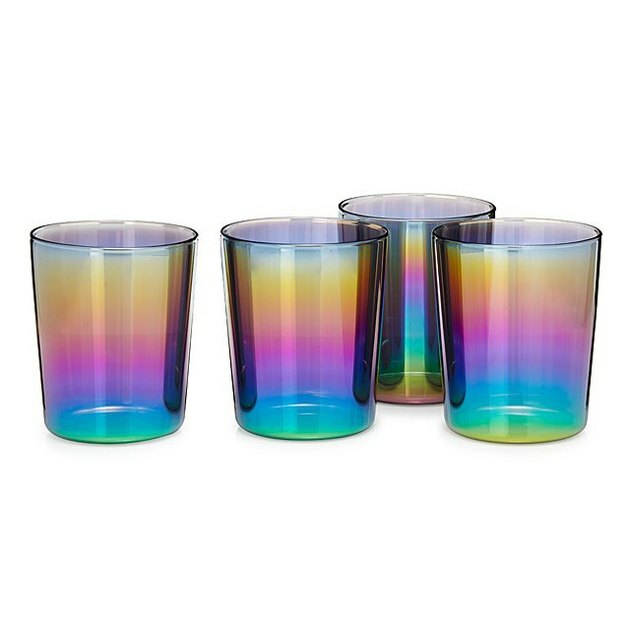 Serve up refreshing summer cocktails in style with this set of pearlescent glass tumblers. 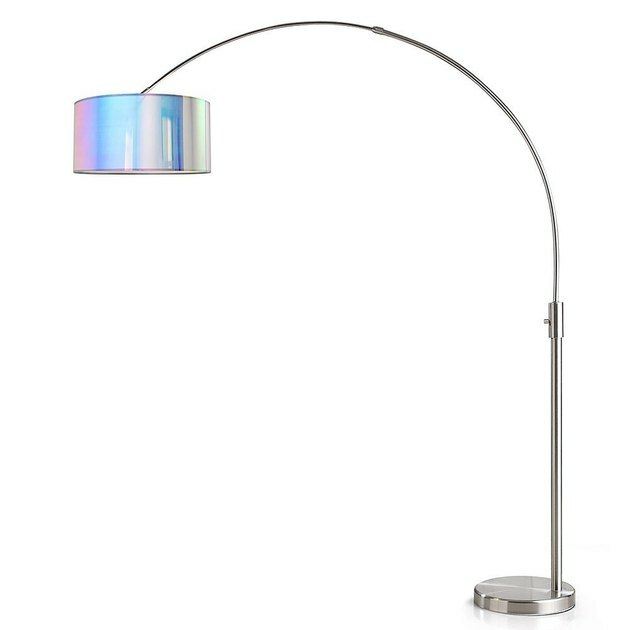 Brighten up your living room with this arched floor lamp. This fixture's modern design and eye-catching iridescent drum shade packs double the punch. The subtle sheen of this luxurious velvet pillow by designer Kevin O'Brien is pure perfection. 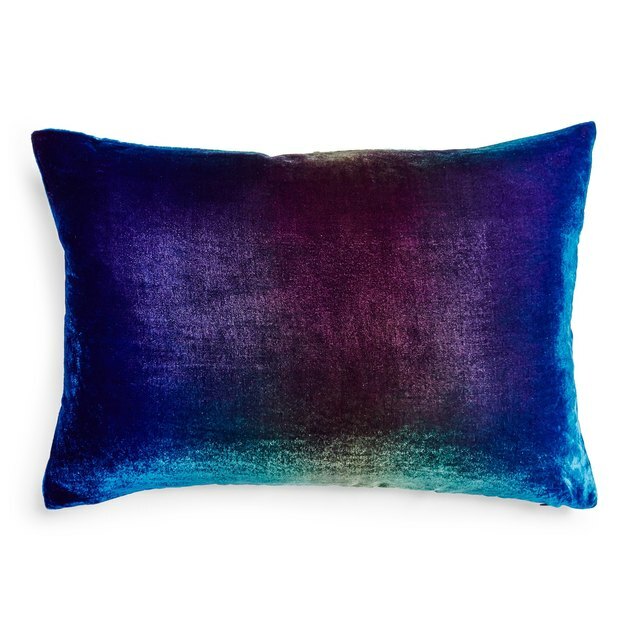 Each pillow cover is hand-painted in overlapping colors to create an iridescent look. 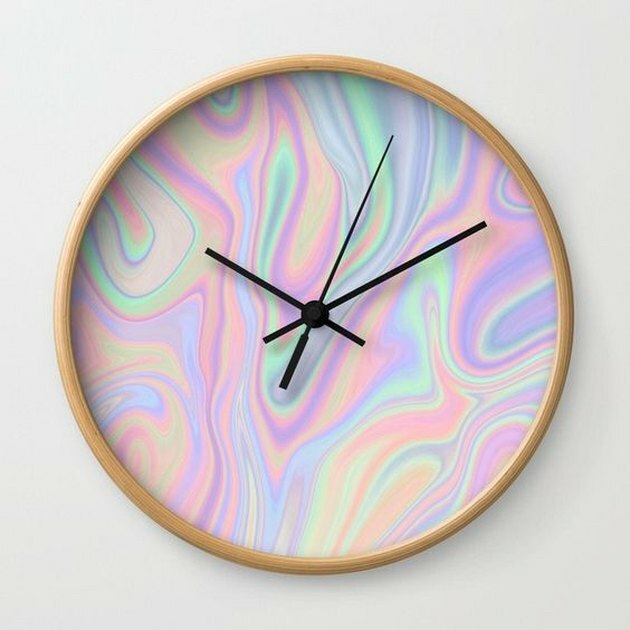 Show off your love of all things retro with this iridescent wall clock. Its oil slick face is the perfect way to test out the trend without committing full-on. This 10-pack of rainbow confetti wall art couldn't be easier to install — just peel and stick. No matter how you arrange them (or where! ), they'll instantly make your home feel more playful, especially when their metal surface catches the light at different angles. 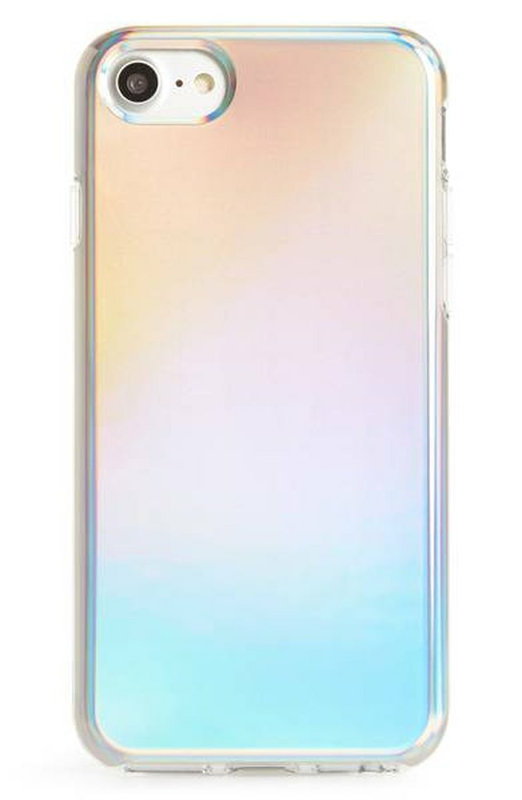 This ethereal iPhone case with an iridescent finish is the perfect way to take this fun look on the go all summer long. 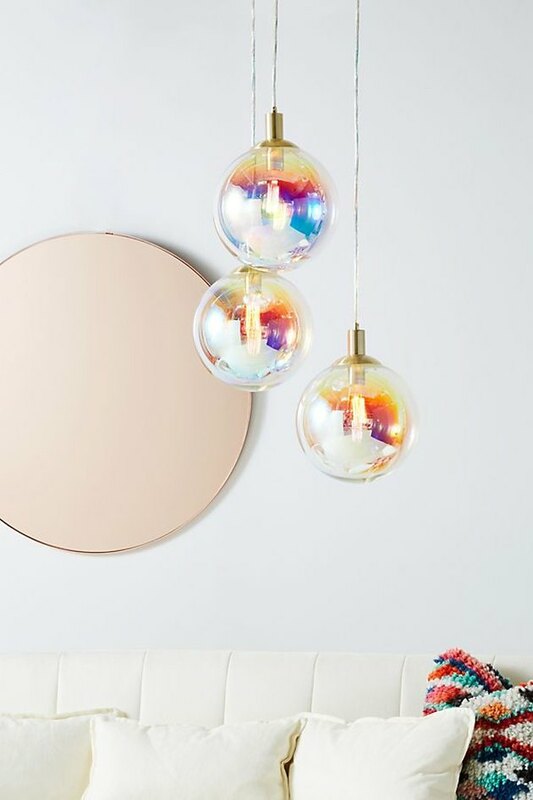 Made from hand-blown glass, this gorgeous trio of pendants is the perfect way to add a hint of iridescence to your minimalist home. Try hanging it in your breakfast nook or powder room for just the right amount of colorful shine.